ProsperWorks - Import your CRM data to create and update advanced dashboards, reports, and graphs on Sheets, right from your device. Read more here. 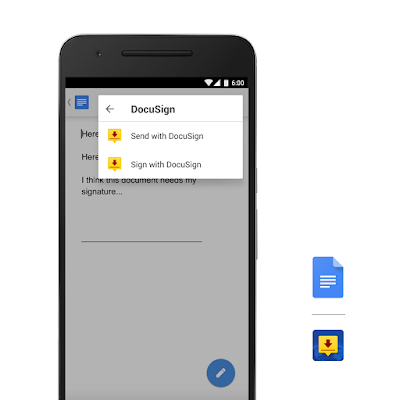 AppSheet - Create powerful mobile apps directly from your data in Sheets instantly—no coding required. Read more here. 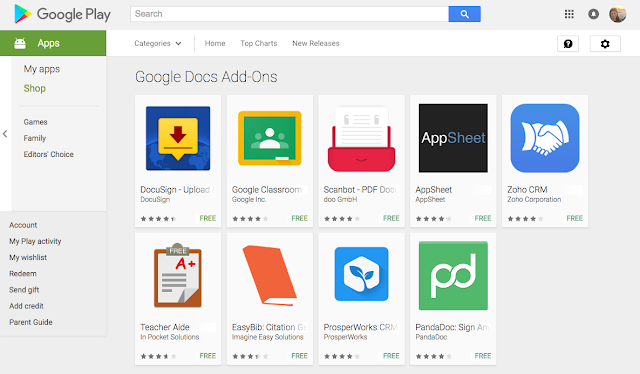 You can find these add-ons and many more, including PandaDoc, ZohoCRM, Teacher Aide, EasyBib, and Classroom in our Google Play collection, as well as directly from the add-on menus in Docs or Sheets. Please note that Android add-ons will the respect same administrative controls as web add-ons. For more information on enabling and deploying add-ons within your organization, check out the Help Center.